Desc: 14kt. 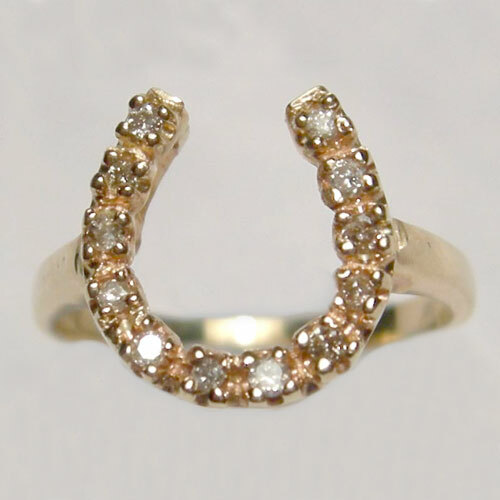 yellow gold horseshoe ring with 12 Round Brilliant Cut diamond in horse shoe. Diamonds are approximately 0.12 cts. total weight.